What is White Click or the White Click Toolbar? WhiteClick is a deceiving application that evidently improves the browsing experience by permitting users to search directly from the TaskBar, without opening the browser. To make it clear“WhiteClick Toolbar” is PUP- “Potentially Unwanted Program” and browser hijacker. This is got famous due to its ill effects on your system, the victim can see visible changes as it modifies certain system files to stay hidden from the security programs. Most of the PUP’s are trouble makers for the users or let’s say pretend them into clicking the advertisement banners, i.e., discounted coupons, security alerts, instant bug fixes – letting the malware creators to make monetary gains on every activity of the user. This kind of program is specially designed to bloat a file system, fill up memory with junk, and places advertisements and extensions in the toolbars of the web browsers. How does the WhiteClick PUP get on the system? The inventors of this PUP are known to use a widespread strategy known as “bundling” to distribute the threat. Bundling as a process is in which the target application is attached to a freeware program and gets installed along with it. Pops Ads-another popular way of spreading such applications is through advertisements pop-ups.Sales persons are hired to help in this purpose they help in creating the sponsored product ads for the developers. These types of ads are aimed using attractive taglines or by offering fake discount coupons so that people are attracted and feel a need to download such applications or at least to give it a try. These ads get triggered when you enter any infected third-party website or are infected with adware. How is WhiteClick PUP harmful? Although PUP may not cause fatal result to your files or OS, but it will certainly annoy you with frequent notifications and includes popups. The thing to remember is that it is a malicious program, and the longer it stays on your computer, the more it weakens the firewall of the computer making way for another malware. Furthermore this PUP connects your PC to “Control and Command Centre” which is operated by the hackers and using an adware they can steal your confidential files, IP-address, your location, browser type, Operating System details, and etc. How to get rid of the WhiteClick? We recommend you to do away with WhiteClick at the earliest, and it is not getting better until we take action, it is going to worse if it stays longer than required it will make the computer more vulnerable with other malicious programs. 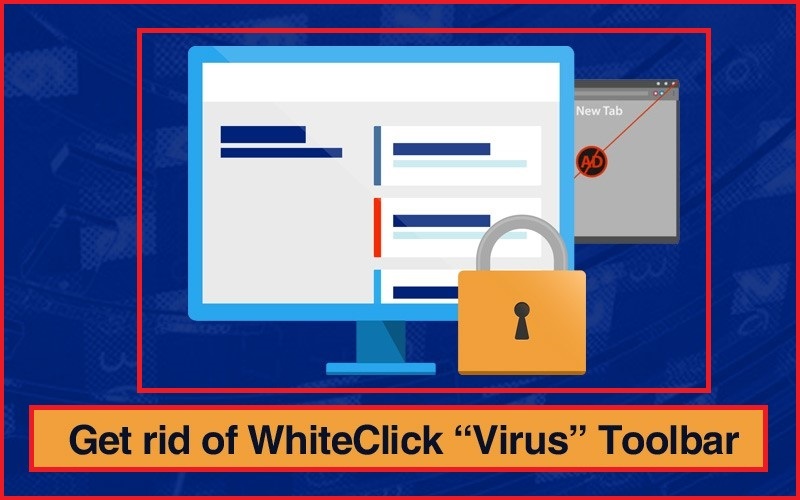 To gain success in removing this WhiteClick, we recommend you to download and install the best antivirus called Malware Crusher. This great app has the capacity to determine the course of action of this adware and its code, it can then diagnosed, and the forecast the danger or risks involved and later normalized by creating anti adware code. For the success of this program, it is important to put the system on real-time tracking with this antimalware tool which will take care of issues like malware or threats. Another great feature of Malware Crusher is that it can scans and detects and also eliminates most common digital threats from your computer and makes all infected windows resources with a secure and safer variable. Post the installation of this application on your computer, there is no additional step to be taken for antivirus and antimalware application. Installing Malware Crusher on your PC in the present situation is the best solution for the overall betterment of the computer’s health. Malware Crusher confirms that your computer has the latest updated and refined versions of the software with critical and emergency updates.